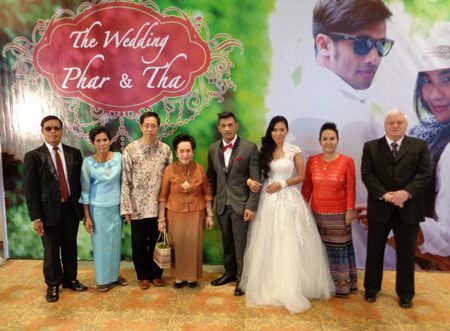 Rungaroon & Satit Thammakorn celebrated their wedding at the Shangri La Hotel on August 11, 2014 where they were joined by family and friends. 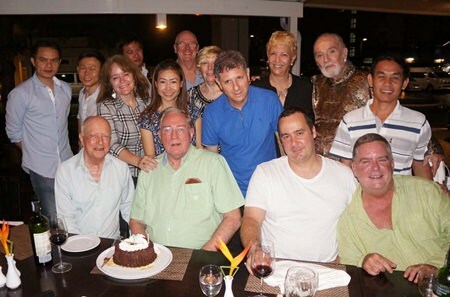 Here the bride and groom (more popularly known as Barbara and Ta of The Pub on Huay Kaew) are joined by their parents and Chao Dr. Duangduan na Chiang Mai and her son Bhaginai before the evening’s party. 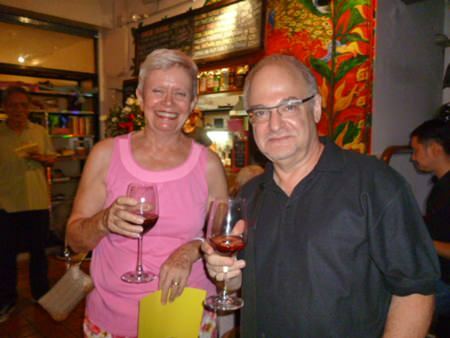 Gary Suwannarat and Don Linder enjoy the Tapas night at Sangdee Gallery on August 8, 2014. 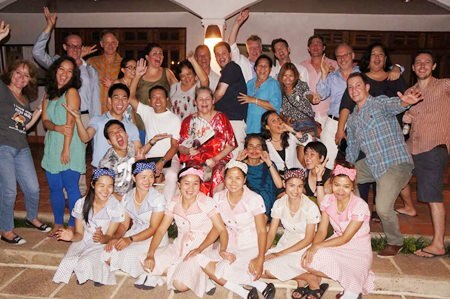 The event was catered by Chef Wicha of Chiang Dao Nest and featured delicious tapas and sangria. 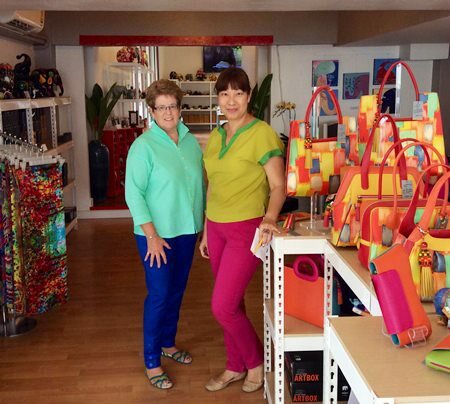 The sold out event was hosted by CityLife and Sangdee Gallery. 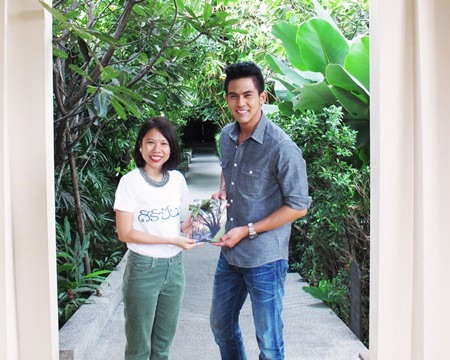 Danaya Sarikbutr, Director of Public Relations for Siripanna Villa Resort & Spa, Chiang Mai welcomed talented model and TV star Pongsakorn Mettarikanon (Toey) during his visit and to Slee Banyan Restaurant at Siripanna Villa, after enjoying his lunch re attended the Best For Men fashion show at Robinson Chiang Mai. 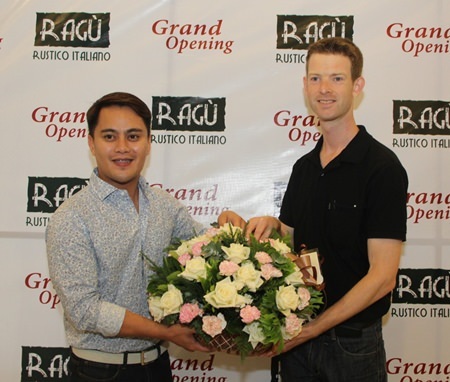 Jowell Limalima (left), Deputy General Manager of Promenada Resort Mall Chiang Mai gave a bouquet of flowers to congratulate Ken Barnes (right), Manager of Ragu Rustico Italiano Restaurant offering Italian Country Cuisine at the grand opening of the newly restaurant at the 1st floor, Promenada Resort Mall Chiang Mai on August 16, 2014. 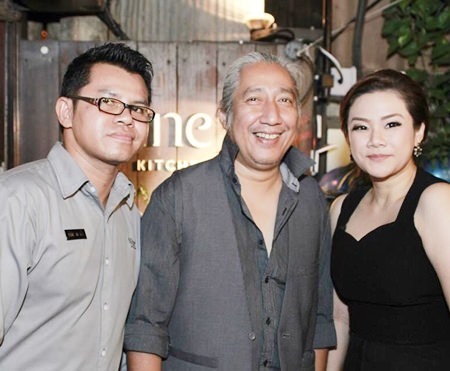 Owner of Nine’s Kitchen Pui Sirinrat (right) and Khun Tak, Nine’s Kitchen manager (left) welcome well-known Thai singer and artist Pom Autobahn (middle) at a privately held mini concert at Nine’s Kitchen Chiang Mai near old the AIS Building on August 2, 2014.